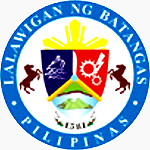 This page contains links to official local government web sites of the cities and municipalities of the Province of Batangas. The link to the Batangas Provincial web site is also provided at the head of the table. In a way, it is a bit disappointing that in this day and age, not all municipalities have made an effort to have a web site created, considering how easy and inexpensive it has become to have one these days. While it is more or less expected that all three cities of the province will have their own official sites, it has been pleasantly surprising to discover that even some obscure little municipalities have made an effort to usher themselves into the Internet Age. Not all the links provided below are actually working but are posted, nonetheless, just in case the local governments concerned make an effort to go online once again. If there are other official web sites that are not listed below, please leave its URL using the comments section at the bottom of this page. A Facebook account is needed to be able to post a comment.